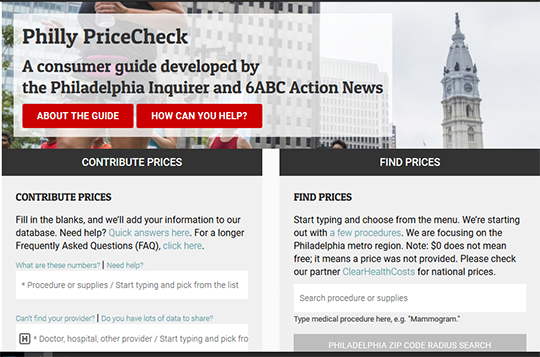 Find prices for common procedures for hospitals in Pennsylvania. Allows consumers to search by medical procedure or supplies and by location. Prices available for common procedures such as vaginal delivery, C-section, tympanostomy (ear tubes), bunion, MRI, X-ray, colonoscopy, CAT scan, ultrasound, cataract removal, arthroscopy, endoscopy, blood transfusion, hernia repair.